CallConnect is a unique bus service whose timetable is not fixed and responds to passenger requests. This means its routes are different each day depending on the bookings made by passengers. Journey requests can be made by telephone or online. The service is designed to improve transport opportunities in rural communities. As well as market towns, where there is an infrequent conventional bus service. (Please note we are generally unable to provide journeys where there is already a frequent commercial bus service, or main Interconnect service). Anyone can use the CallConnect bus service for any reason and as frequently as required. The service is operated by modern, fully accessible minibuses. Most services operate between 7am-7pm Monday to Friday, and 8am-6pm Saturday. (Local variations apply). 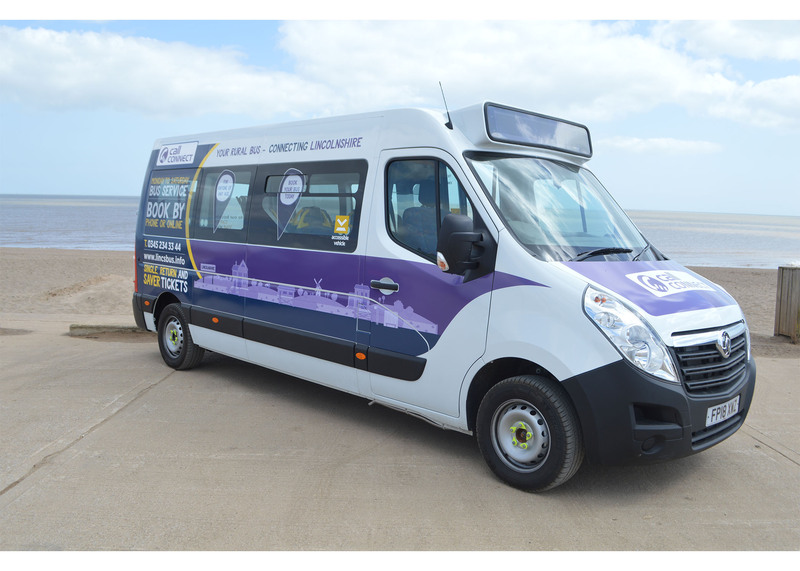 The CallConnect Lincolnshire minibus will pick up and set down at designated locations in each village or town. Home pick ups and drop offs are also available for people who are unable to use conventional bus services. Either due to age, disability or mobility impairment. We currently operate three CallConnect services on behalf of Lincolnshire County Council. along with comprehensive CCTV for passenger safety.